Kids love to do activities with their parents! Martial art classes are a great way to connect with your kids in a positive environment and allow yourself to improve at the same time. During the month of June, Fathers will receive 50% Off Registration when they sign up. 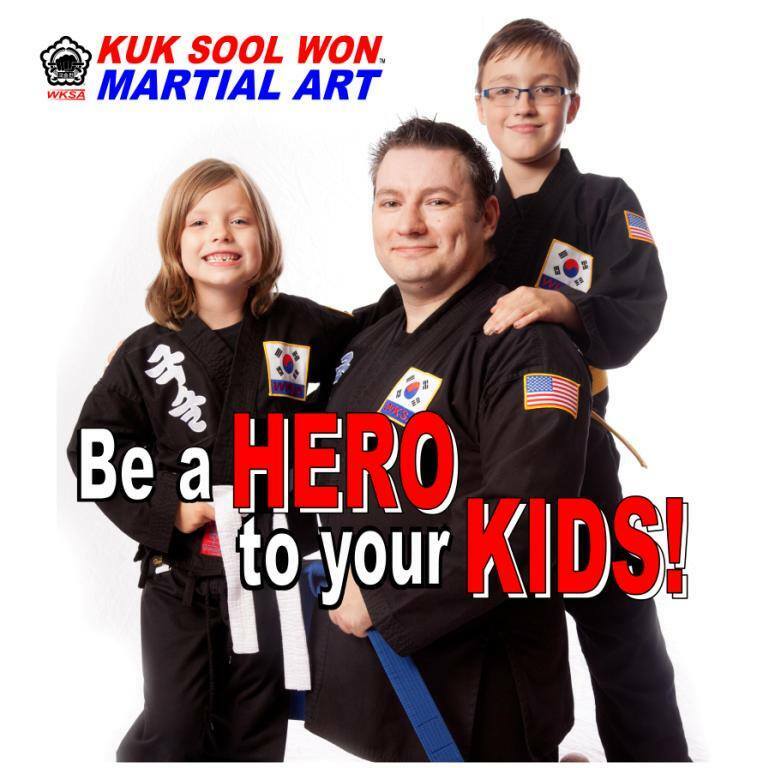 At Kuk Sool Won, we believe in the power of family. That is why our school can offer such a HUGE discount. Fathers of current students will receive 40% off tuition. Sign up now! For just $25 you can get started. You will receive 3 Martial Arts Classes and a Uniform to keep. Take advantage of this Hot Summer Special by filling out the form below. Your kids love to spend time with you! Spend a little more with them in class. Monday (June 16) is "Bring Your Dad to Class Day". In honor of Father's Day, dad can join in on the fun for free.